A variety of assistive devices can improve balance, provide support, and prevent further disability. If you're recovering from an injury or surgery, struggling with arthritis, or having trouble with your balance, your doctor may recommend one or more assistive devices—simple tools that have been shown to prevent falls and injuries and preserve your mobility. Don't let pride or vanity keep you from using them. "Maintaining your mobility—the ability to move easily around your home and neighborhood, stay connected to your loved ones, and remain engaged in the world—can safeguard your independence," says Dr. Scott Martin, associate professor of orthopedics at Harvard Medical School and medical editor of the Special Health Report Mobility and Independence (www.health.harvard.edu/MI). Once you begin to shop for an assistive device, you may be surprised at the selection that awaits you. Whichever type is recommended for you, you'll need professional help with "fitting," so that you can use it safely and comfortably. 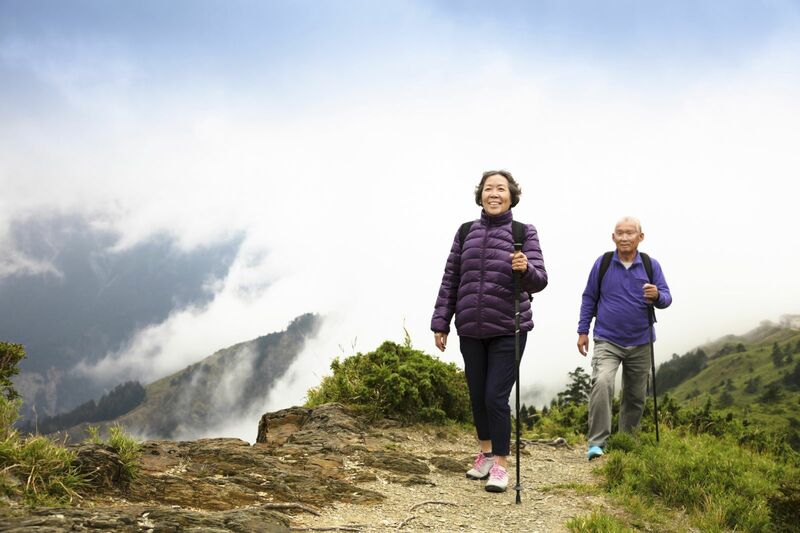 Walking poles, which are often used for trekking, can provide some additional stability and improve posture, balance, and coordination. They can be helpful for people who don't need a lot of support but want to relieve weight on their hips and knees. For example, they may be a good choice if you have arthritis but can usually get around well. They're also good for hiking, even if you don't have mobility problems. Like walking poles, walking sticks don't provide a lot of support, but they help you sense the terrain if you have neuropathy and have trouble feeling the ground beneath your feet. They also allow you to walk with a fairly natural posture and gait. Standard canes. These usually have a curved or T-shaped handle and a variety of grips and tips. They are good for helping with balance but don't bear a lot of weight. Crutches transfer the bulk of your weight from your legs to your upper body. They provide better support than canes but are more difficult to learn to use. It's extremely important to have crutches fitted properly and to undergo training in using them on different surfaces. Walkers provide the best support, but also alter your gait considerably. Walkers come with legs, wheels, or a combination of the two. Some have seats to allow the user to rest. Because using a walker is more complicated than pushing a grocery cart, you'll need professional help selecting a walker that is a good fit and learning how to use it properly. Using an assistive device often requires making a few changes to avoid accidents. You may have to move furniture to make a path for a walker and remove rugs to create an even surface to navigate with a cane, crutches, or walking stick. Avoid smooth-soled shoes and slippers. Once your device has a permanent role in your life, you'll wonder how you got along without it.